Successfully Added J1900 Windows Mini PC - Windows 10 Pro, 1080P, Wi-Fi, Intel Celeron J1900 Processor, 4GB RAM + 64GB ROM, 4 USB Ports, HDMI to your Shopping Cart. Upgrade your computing experience with the Windows Mini PC, bringing to you Windows 10 Pro operating system, 1080P support, a powerful Intel Celeron Processor J1900 processor and more. The Windows 10 Mini PC comes with power, speed and a great interface. You will have the latest Windows 10 at your service, and with it, lots of useful features and upgrades. Powered by the Quad Core Intel Celeron processor J1900 and featuring Intel HD Graphics GPY, the mini PC is a great for both work and entertainment - including some fancy gaming. With 1080p support, all your media will come out looking great and you can dive right into movie watching or exciting game play. 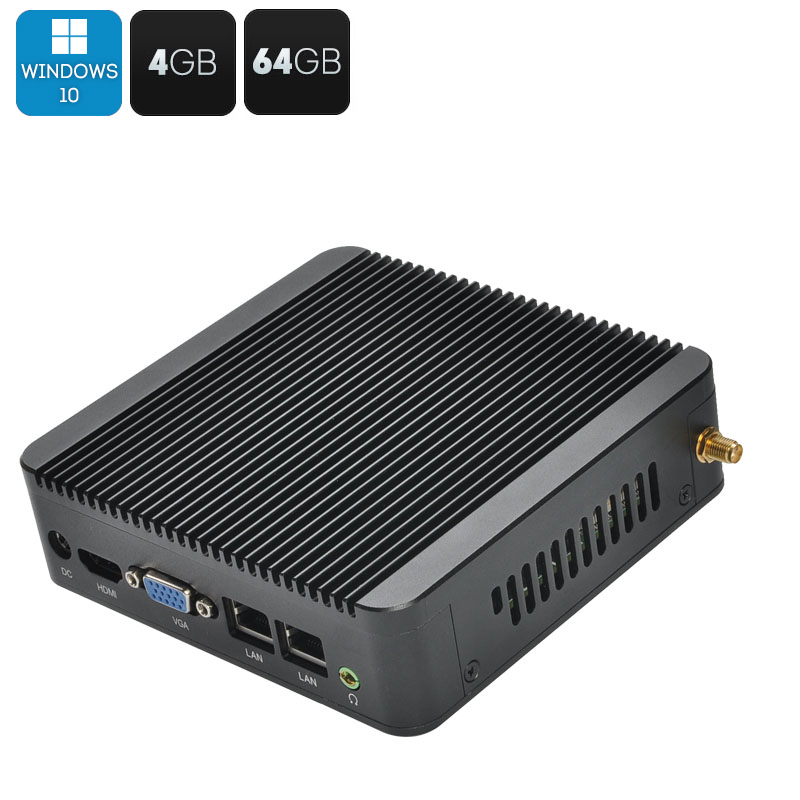 The J1900 Windows mini PC comes with great connectivity. You will have 3xUSB 2.0 ports + a USB 3.0 port, HDMI, VGA, OTG and more. The mini PC also features 64GB of internal memory. This mini PC has a compact, lightweight design and would take very little space on your desk – or, can even be mounted to a wall or the back side of your monitor thanks to a special mount bracket. Made with reliable aluminum alloy computer case, the mini Windows PC is durable and will serve you long and well. The Windows mini PC also features fanless design – and, thus, will not be distracting you with noise as you are busy working or playing online games. The Windows Mini PC comes with a 12 months warranty, brought to you by the leader in electronic devices as well as wholesale Windows mini PCs..
the Windows 10 software on this devices is a trial version only. please contact Microsoft to upgrade to the full version. As a wholesaler, we provide no software support, advice, or training regarding the Windows operating system and software.